raise it whenever I encounter a pianist who attempts a harpsichord facsimile on the modern piano. You know the type of player I mean. This is someone who feels that all Bach playing is detached. 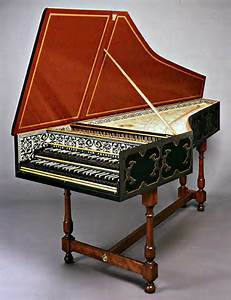 Even the great harpsichordist Wanda Landowska declared that her playing was connected, not detached. I understand why some pianists do this. They hope to imitate the quill plucking the strings. In the process they discard the natural reverberation that plucking produces. 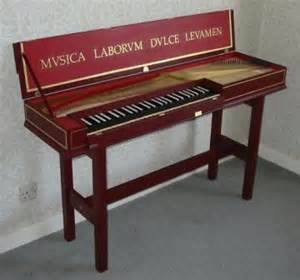 We know that Bach favored the clavichord for its ability to produce nuanced inflections, not unlike a piano, though very much more subtle. The clavichord was an entre nous instrument, its sound intimate and not designed for a modern concert hall. 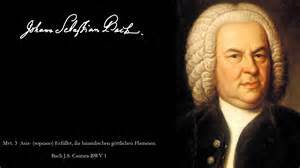 It seems to me Bach had this reference in mind when he wrote that his music should be expressive in the way that singing can be expressive. So here we have a conundrum. On the one hand we are to play the parts clearly, but at the same time be expressive. No worries. We can separate out the two parts of the puzzle and put them back together again. Bach would be proud. In the first Invention, I have noticed from time to time that students trip over the first leap in measure one. 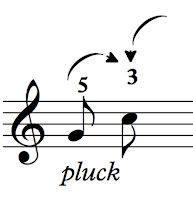 The intention is to begin lyrically with the sixteenths, but the leap from five on G to three on C sounds like a hiccup. Well, it is. Use the fifth finger as a hinge to move rotationally to three, and in the process separate the G from the C. It feels connected because of the rotation. Slightly shortening the G, however, gives the passage a characteristic articulation. This is still cantabile. We look for musical and technical shapes in order give expression to what we play. Here is a good example of grouping and shaping in both guises. Group notes together that move in the same direction. Class, what are the appropriate shapes? Yes, over on the way down, under on the way up. It's the reverse in the left hand. Invention I, MM 3-4, Grouping and Shaping. There is of course much more to consider, and it is a fascinating topic. Every student plays at least some of the inventions at one time or another. Maybe I should write a book on solving technical problems in the Inventions and Sinfonias. Oh, wait. I am.